It’s cold out. Know where it’s warm? Inside a bar decked out like a pirate ship, or a spangly ode to a beachy, thatched hut where palm trees glow neon. 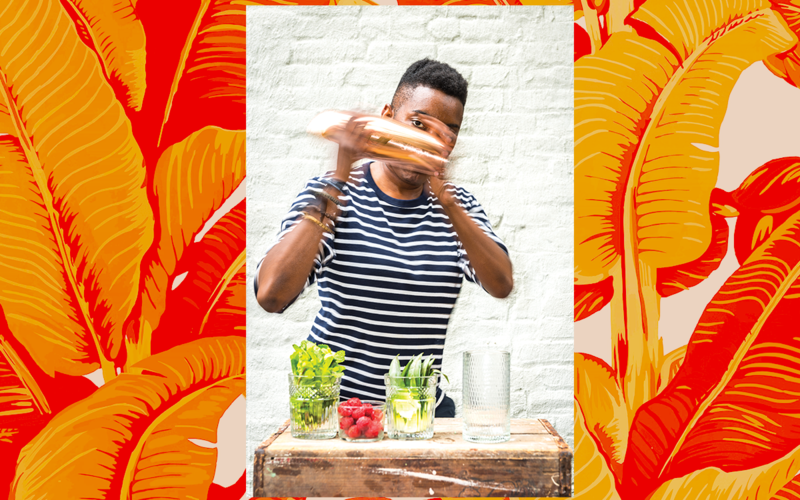 “The element of make-believe, and of mixing cultural references and ingredients is central to the escapist sensibility of tiki,” explains Brooklyn-based spirits educator, cocktail consultant, and newly-minted author Shannon Mustipher. Over the sweet sounds of Jimmy Buffet or Bob Marley or Christmastime Elvis [Ed. note: This has become a seasonal go-to playlist, thanks to Chicago's heavyweight holiday tiki joint, Lost Lake,] the sweetness of cane spirits and oversized floral garnishes work to undo a little of the piled-on stress of the year. 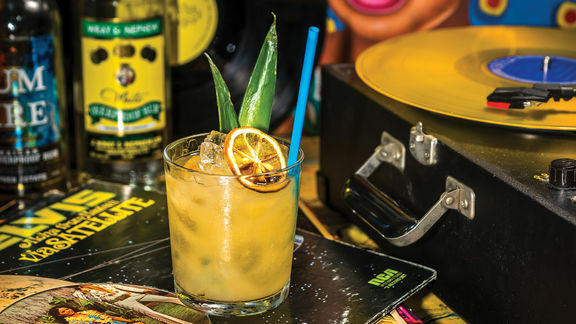 We spoke with Mustipher about the distinct pleasures of infusing your winter holiday with tropical mash-up vibes—no flight required—and how the art of tiki has informed her approach to bartending. Shanika Hillocks: How did you discover tiki, and what keeps you excited about it? Shannon Mustipher: I like to say that tiki chose me. Creating a rum-focused bar program at Glady's was the catalyst: a month of tasting through 200-odd candidates for our back bar. I was smitten by the sheer diversity of the category, which is akin to wine, and I became a devotee. The nail in the coffin came when I attended the first Tiki by The Sea seminar in 2015 and realized that my bar had "the right stuff" to execute standout tiki cocktails. I immediately jumped at the opportunity to offer something in Brooklyn that I did not see happening. Given the resources at my disposal, it took on the tone of a moral obligation. Hence, Tiki Tuesday at Glady’s, and everything that follows was born. 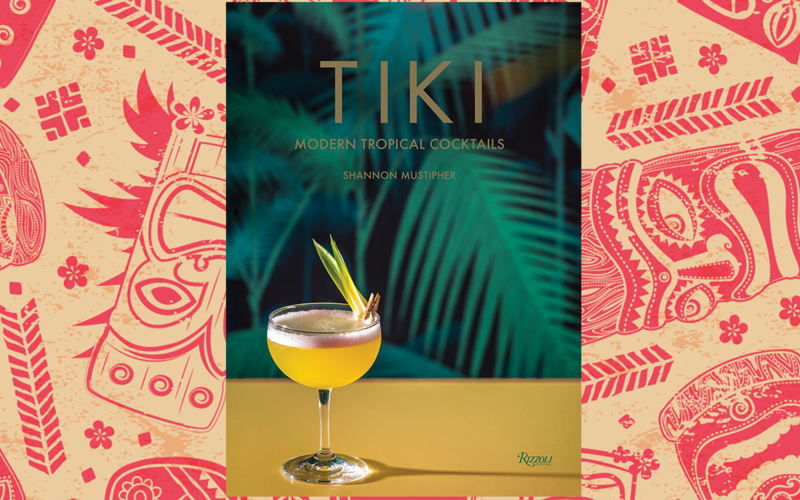 From the bar to your forthcoming book, Tiki: Modern Tropical Cocktails; what's it like wearing another hat as an author? It was really gratifying to hone in on the things that I love about the spirits and ingredients, seeing them through a set of beginner’s eyes—ditching the bar jargon and shorthand—and learning how to render in the process of cocktail creation. It's one thing to serve drinks face-to-face and another to commit to writing my recipes in a way that would faithfully convey the warmth I show behind the bar while transmitting intentions to the reader that would engender rapport and confidence in my suggestions. Think of being a good jam band and then nailing the sound and a vibe in a studio recording, à la MTV Unplugged. In essence, writing a book required me to learn a different language, and that's an opportunity for which I’m grateful. This book has [also] been an exercise in community building, which again, is what I have always been about when it comes to working behind the bar. It’s awesome to see that energy reverberating out into the world, beyond the confines of a watering hole. I have a creative bent, and tend to go at things like Animal [from the Muppets]; I am more detail-oriented than I ever thought possible. No more cigarettes, hitting the gym, keeping a zen attitude and adopting a minimalist approach to life are habits I embraced to harness my energy to work on the book, and I continue to derive tremendous benefits from it. Why tiki for the holiday season? The holidays are about spending time with people you love, extending hospitality to friends and strangers, and being grateful for the good things in life. I've never seen a sad person with a tiki drink in their hand— it's impossible. Speaking of paradise, does the versatility of tropical-centric cocktails embody an idea of escapism? Tiki was initially inspired by Polynesian culture and the fascination that the American public had with this corner of the globe in the wake of the return of servicemen in the South Pacific. Meanwhile, the top West Coast tiki bars—Trader Vic's and Tiki-Ti— were helmed by bartenders from the Philippines who brought their knowledge of tropical fruits and flavors yet to be experienced by the American palate. That, in combination with the romance of Caribbean rums and the sense of adventure that they evoke, resulted in cocktails that hinted at places that were exotic in the consciousness of the American consumer. For many, visiting these islands was out of economic reach compared to spending a few dollars visiting the local tiki restaurant where decor made patrons feel like they were on a short-term staycation. The same logic applies to the tiki of today. Much of tiki’s narrative has been told by those behind prominent bars in New Orleans, Chicago, and San Francisco. Can you explain the importance of representation within this niche of the spirits industry? It's absolutely important that anyone expressing an interest in working behind the bar, and in tiki, have the space to do so. The genre is founded in the concept of over-the-top hospitality and welcome, so if there is any aspect of the cocktail industry where anyone should be able to succeed, this is it. Tiki is a style of cocktail that is driven by endless play and innovation, and the more diverse the perspectives, the better the category will be overall. I can say from my own personal experience, I meet a ton of women and people of color, Jen Akin at Rumba, Julia Gordon at Lost Lake, Jelani Johnson at Clover Club, Nicole Kanev at The Binc, and Chelsea Barrett of Rum Fire to name a scant few, who are making waves. We are the up-and-comers, so I expect that the perception that tiki is the province of one group of people will shift. What's a simple tiki cocktail we should serve this holiday season? Combine all in a shaker with ice and shake to chill. Fine strain into a chilled coupe, garnish with freshly grated nutmeg, then serve. It’s never been a better time to go frozen.